Anything that’s crispy is appetizing. Agree? Yes! 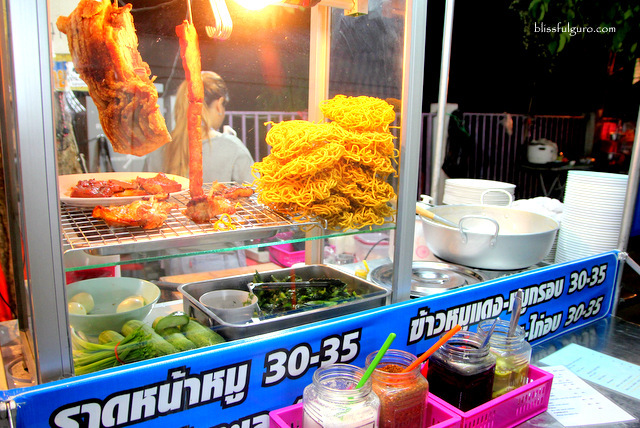 During our short stay in Chiang Mai, we explored the local street food scene and crispy pork rice became one of my favorites. I could still imagine the crunchy fried pork strips with hard-boiled egg and sliced cucumber topped with some sweet and tangy sauce over steamed rice. Everything for 35 Baht. Amazing! On our very first night, our friends brought us to Chiang Mai University before checking in at our home in Chiang Mai - the Yaang Come Village Resort. 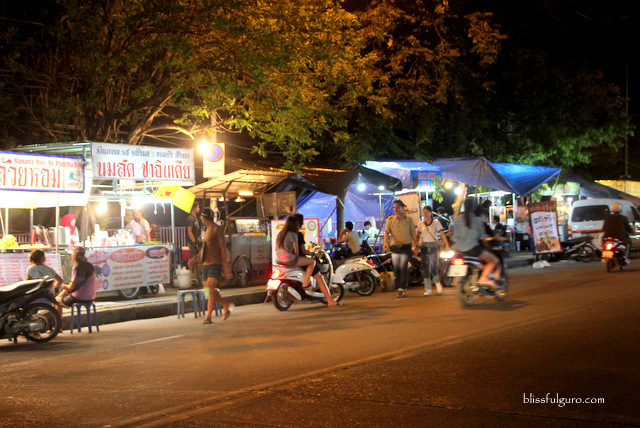 The Suthep Road is usually lined with hawker stalls at night that sell nothing but cheap local Thai food (check here for discounted tours, transportation and activities in Chiang Mai). The first stall sold fresh fruit shakes while the next one served hot noodles. The third one offered rice meals which I carefully examined. 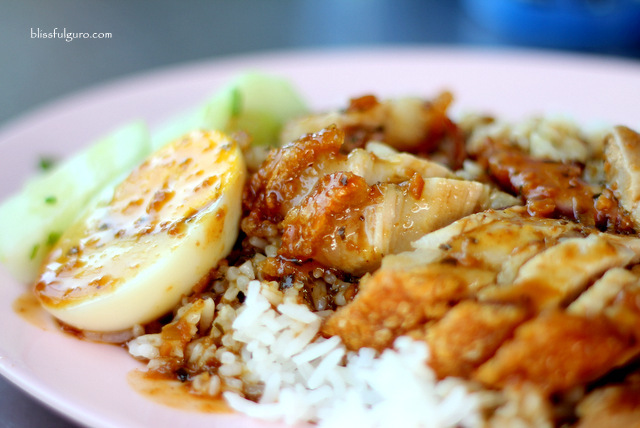 The crispy pork with rice (35 Baht | US$ 0.98) or khao mu krop in Thai was very inviting so I quickly asked for one. We settled on the makeshift tables and chairs on the sidewalk and were immediately served with my rice meal. My buddy opted for some hot noodles. 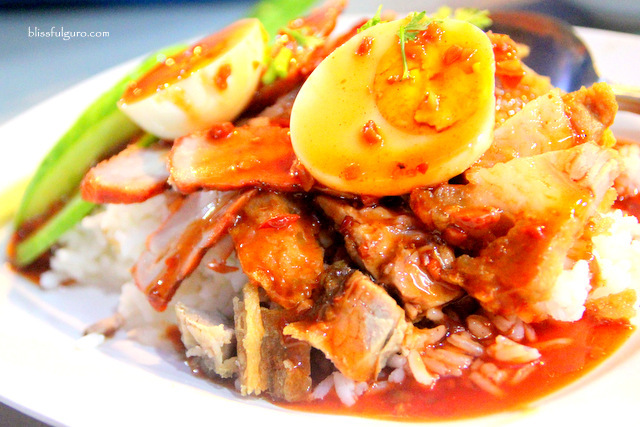 The crunchy fried pork strips over steamed rice with sidings of sliced cucumber and hardboiled egg topped with sauce looked delectable (whew, that was tiring). For its price, I wasn’t expecting much, seriously, I was just too hungry at that time that anything would suffice. And it was delish! The sauce was on the milder side (I was expecting it to be spicy) while the crispy pork was perfectly matched with the boiled egg. The cucumber had this refreshing bite to it. My buddy was still waiting for his noodles when I realized that I was almost done with my plate. Haha. 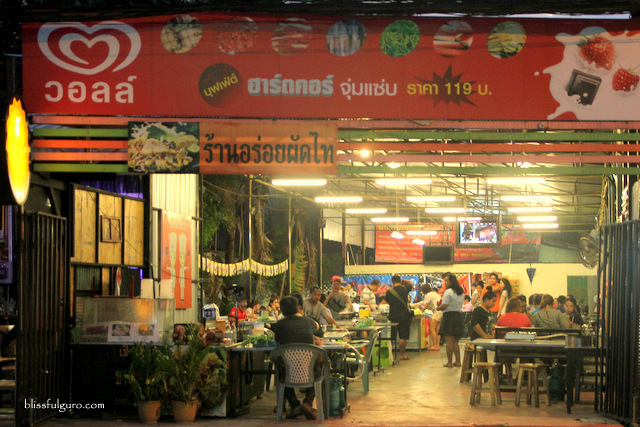 The hawker stalls along Suthep Road offered dirt cheap and yummy food, very reminiscent of what we had in the northern province of Pai, still in Thailand. 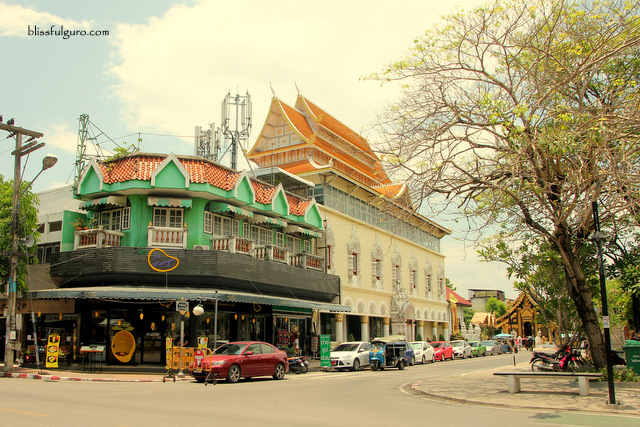 During our walking trip around the walled city of Chiang Mai, we chanced upon a strip that’s full of Chinese restaurants along Intrawarorot Road (near the Three King’s Monument). 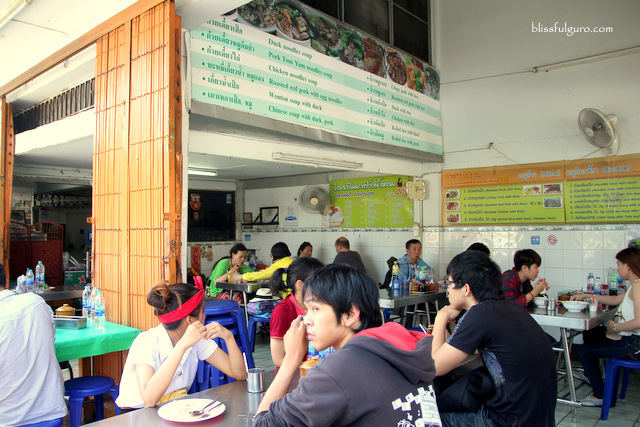 We noticed this certain hole-in-the-wall that serves both Chinese-Thai dishes. It was packed even after lunchtime. I forgot to take note of the name of this restaurant the moment I saw the crispy pork rice on the menu. Haha. I was scanning the photo menu when I saw the crispy pork with rice or khao mu krop (60 Baht | $US 1.67), I immediately pointed it to the server with a smile on my face. 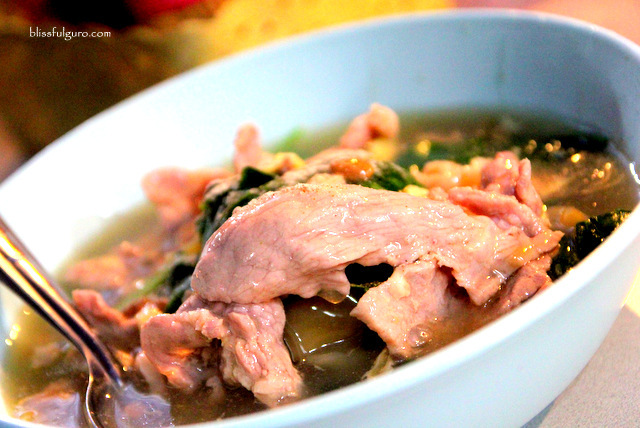 My buddy opted for kuaytiaw pet or Thai duck noodle soup with chicken and pork (50 Baht | US$ 1.40). I was laughing at him for we were drenched in sweat from the intense summer heat but still, he wanted to have hot noodles. 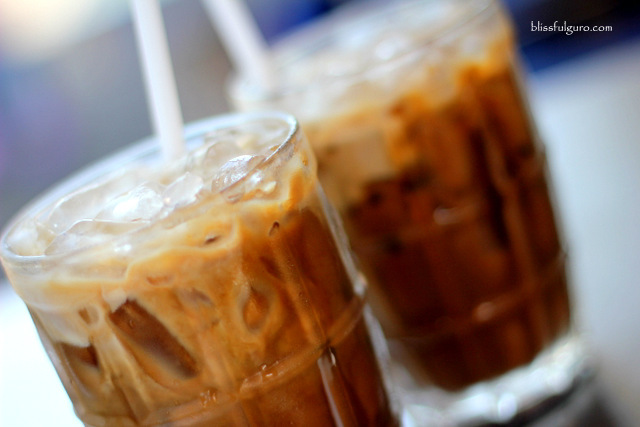 We also had two glassfuls of iced coffee for 20 Baht (US$ 0.56) each. We were almost halfway on our refreshing iced coffee, which was really delicious, when our food arrived. The same excitement filled inside me as I checked out my crispy pork rice toppings. I tried my buddy’s noodles and the spice started to kick in. It took me two more spoonsful of the broth to truly taste the duck-infused stock. The crispy pork rice, on the other hand, was lovely as night before. Moving on, that night, we were treated by our friends to dinner. It was a surprise. 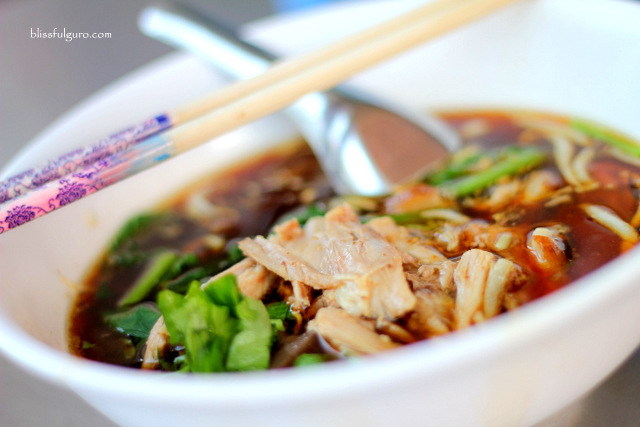 We drove to Siri Mangkalajarn Road inside the walled city and halted at A-Roi Jumzapp Hot Pot (99 Baht | US$ 2.76 per person). I was a bit disappointed for I was craving for my crispy pork rice but still, I followed their lead and settled on a table with a table-top stove and LPG tank underneath. 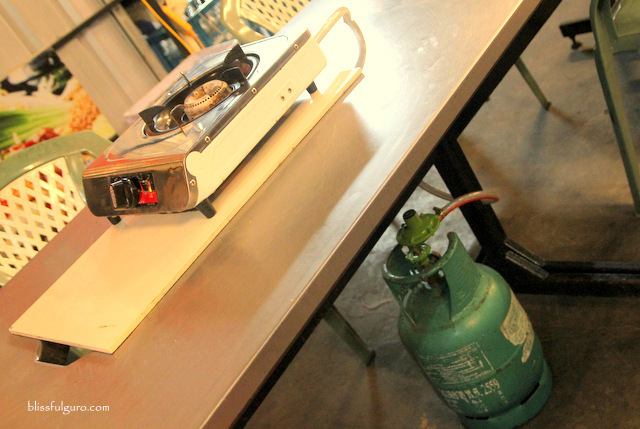 Normally, me and my buddy weren’t that crazy about hotpots (or maybe we’re just too lazy to cook our own food) so we’re quite lost on the what-tos and how-tos. 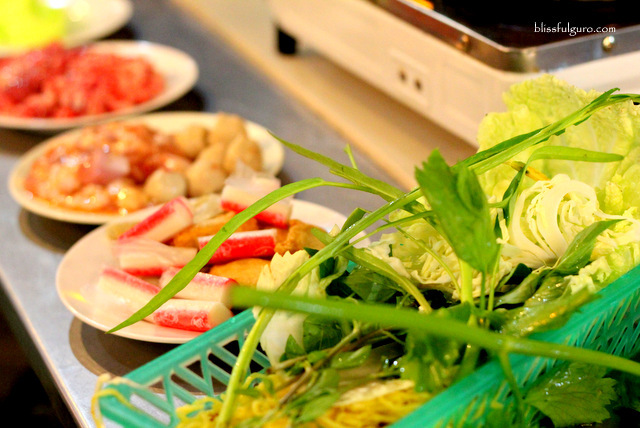 Our friends grabbed an assortment of meat, some greens, noodles, eggs, and more. 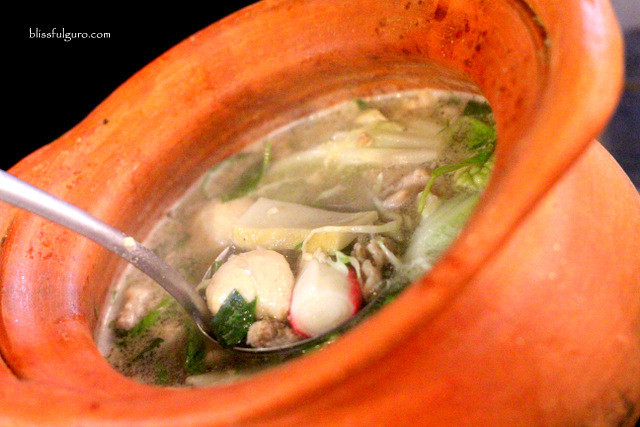 A clay pot and broth was brought to our table and the couple started to show off their cooking prowess while we waited patiently for everything to be cooked. The soup was yummy but my buddy was looking for something, his fave condiment. He asked for fish sauce but was politely declined. There’s a 7-Eleven store nearby so my buddy dashed to check out if they have one and went back triumphantly. 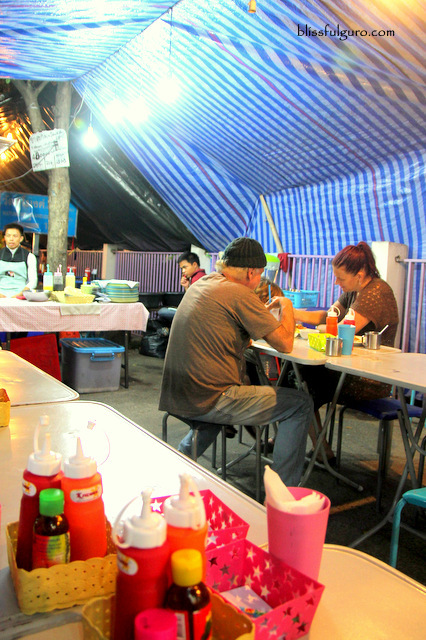 He was holding a cutesy bottle of fish sauce or tiparos which was sold at 6 Baht (US$ 0.17). He immediately put some on his soup and was delighted after. The three of us happily followed his suit. Hala! 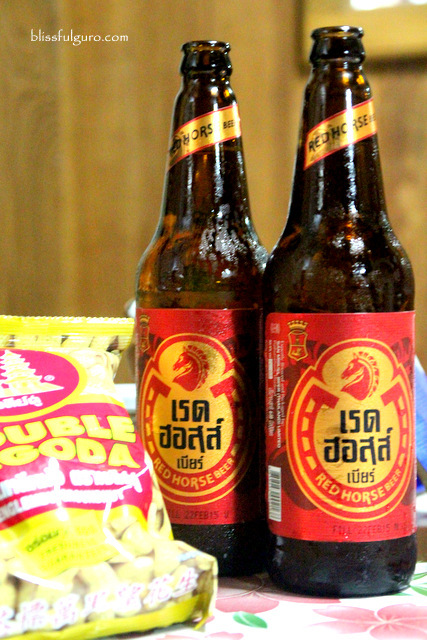 Kung alam ko lang na mukrop pala ang bet mo. Hahaha! Atleast meron ka natikman iba chong.